Spain is the 17th largest export economy in the world and the 33rd most complex economy according to the Economic Complexity Index (ECI). In 2015, Spain exported $266B and imported $302B, resulting in a negative trade balance of $36.1B. In 2015 the GDP of Spain was $1.2T and its GDP per capita was $34.9k. The top exports of Spain are Cars, Refined Petroleum, Packaged Medicaments, Vehicle Parts and Delivery Trucks. Its top imports are Crude Petroleum, Cars, Vehicle Parts, Packaged Medicaments and Petroleum Gas. From our head offices in Valencia we operate a global network of highly trained logistics professionals who expertly manage and serve our client's supply chain requirement, no matter how complex or specific. 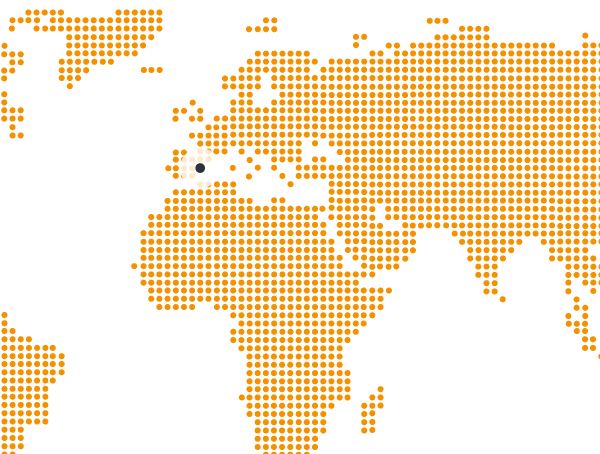 In Spain we have offices in Valencia, Barcelona and Madrid.